I'm always looking out for new and upcoming fashion designers that give you something a little different. For me, it's the fresh take on designing the really catches my eye. From the styles to the colours and fabrics, these are designers that may not be mainstream just yet, but you definitely should keep your eye on. I've worked with Pooja a few times over the past year. I used to featured her items on the site when I had the online boutique, and then was in touch with her to create a few outfits for my brother's wedding events. You can view one of the outfits here. Not only is she great at what she does, she easy to work with, picks high quality fabrics and ensures that you're happy with the items. That's a win-win in my books! 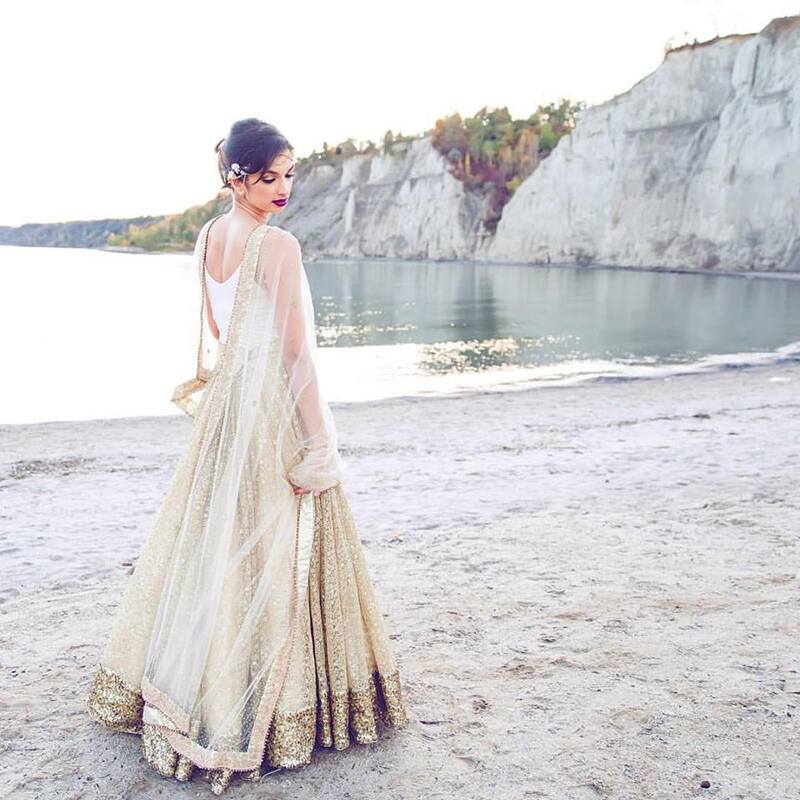 You've probably seen me in a few of Jyoti's outfits here, here and here, and all I can say is that she really is an amazing designer. Jyoti's outfits are for the fashion forward crowd who want something a bit more unique rather than the heavy, 'bling-bling', Southall type of clothing. All of her items are created in India and shipped to the UK. 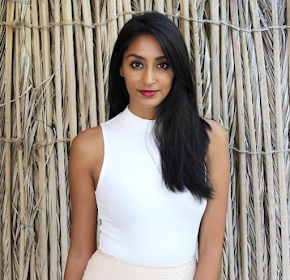 She works with some of India's most sought after tailors to create stunning outfits. Along with Indian wear, she also has some cool jackets and separates that would look fab for everyday wear. I recently discovered this designer through Instagram and loved the aesthetic of her pieces. Feminine and fabulous with great attention to detail is the best way to describe her work! She has some really beautiful pieces that I would love to wear - I would follow her to see what amazing items she comes out with next. If you love silk sarees, then you will fall in love with Lakshmi. 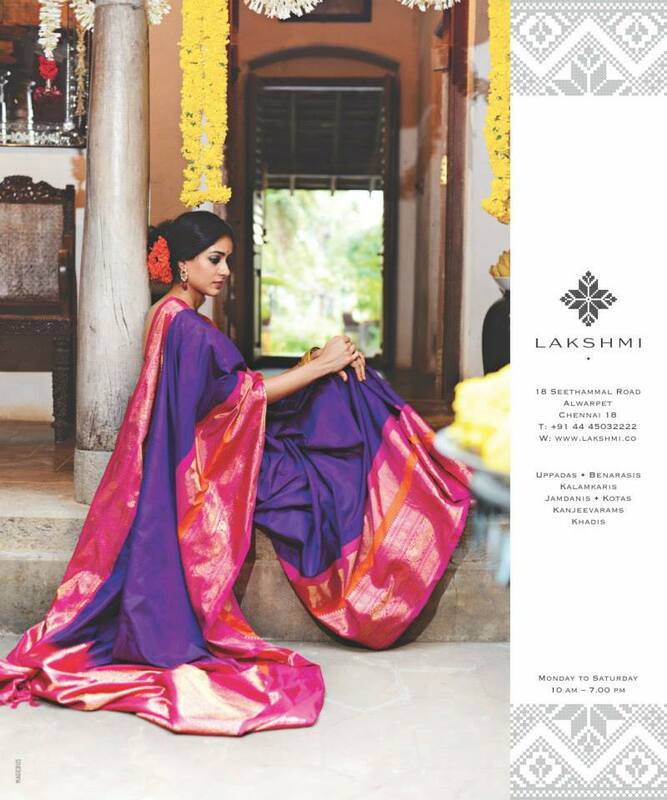 I happened to stumble upon Lakshmi's website a couple of years ago and fell in love with their sarees! From benarasis to khadis to kanjeevarams- they carry an amazing array of silks that sell out FAST due to the amazing curation of items. The best thing is they have an online store that you can buy directly from, AND it's updated regularly. Love! 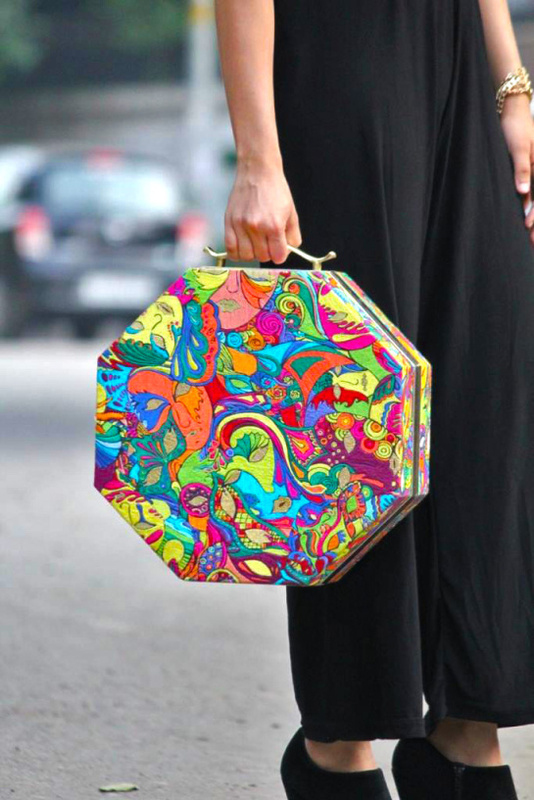 The Purple Sack creates fun and quirky accessories and home wares that have that Indian touch to them! I'm in love with the colours, patterns, and design of their products. Their products are unique and I would love to carry the below bag with a few of my outfits!